Amazon recently released Alexa Cast technology that allows you to beam audio from your phone or tablet to your Echo and Alexa-enabled devices. Amazon recently announced its new casting technology called Alexa Cast. 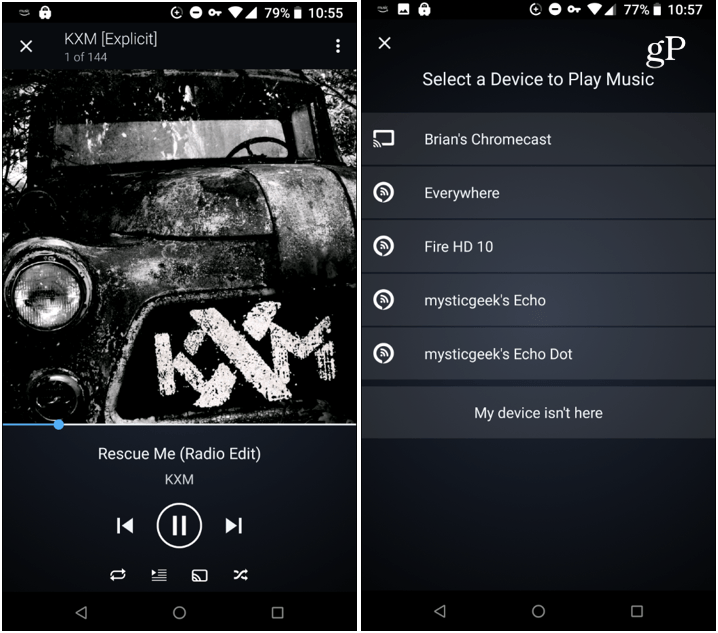 This is Amazon’s version of Google Cast that allows you to stream music and video from your phone or tablet to other devices like Chromecast or Google Home speakers. 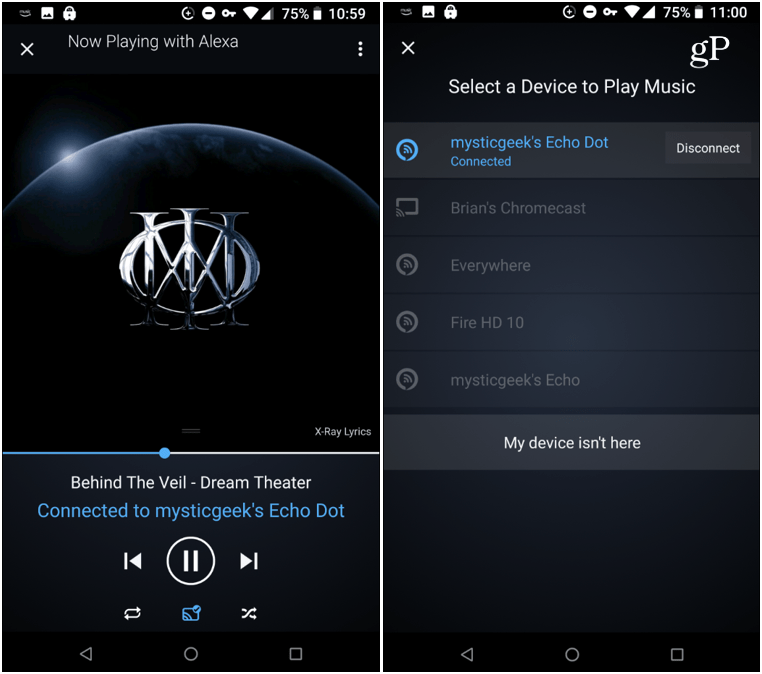 But at the time of this writing, Alexa Cast isn’t quite as robust and it only supports music via the Amazon Music app on Android and iOS. But the company says there is more to come and today we’ll take a look at how to use it. For this example, I’m using Amazon Music on Android, but the process is virtually identical on iOS. Also, the new feature was just released this week. If you don’t see it yet, make sure to update the Amazon Music app. To start using it, open the Amazon Music app on your phone or tablet and start playing a tune. At the bottom of the screen, you’ll see a new “Alexa Cast” icon at the bottom of the screen and tap it. On the next screen that comes up, choose the device you want to listen to your music on. From the app, just above the playback controls, you will see the name of the device the music is being cast. If you want to disconnect, tap the Alexa Cast icon and then tap the Disconnect button from the device on the list. Amazon continues to improve upon what its Alexa-powered devices can do. For example, you can set up multiple Echo devices to create a sort of “poor man’s Sonos system” by setting up a multiroom audio experience. And just recently it introduced Show Mode and dock for the Fire HD that lets you use it as a tablet and Echo Show. At the time of this writing, Alexa Cast only works with the Amazon Music app. However, the company has said it plans to add support for other apps in the future. It also remains to be seen if it will support video, but chances are good that it will. Using the feature is intuitive and this is a good start. And it’s certainly a welcome feature for a household that includes a lot of Echos and other Alexa-enabled devices.